Wellington Brewery is undergoing a major expansion as the demand for their award-winning beer continues to rise. Following the addition of new tanks in 2011, this week saw the addition of four new 140 HL tanks, greatly increasing the breweries capacity. As more and more drinkers choose to drink locally produced craft beers, sales have increased at the LCBO, The Beer Store, Bars & Restaurants, and directly from the brewery. These new tanks will increase brewing capacity by 35% as the brewery begins to brew 24 hours a day, 7 days a week. 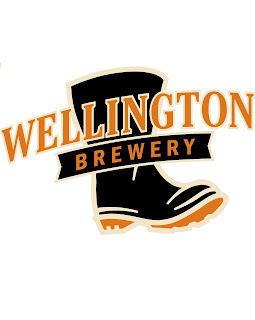 "We're looking forward to an exciting year as we continue to expand our operations while maintaining our focus on producing consistent, high-quality craft beers" says Brent Davies, Vice-President of Wellington Brewery. This past year has been a busy and exciting one for Wellington, with beers picking up numerous awards including a gold and silver medal at the Canadian Brewing Awards, a gold medal at the Ontario Brewing awards, and two silver medals from the U.S. Open Beer Championships. The brewery also had the distinction of winning an Industry Choice Award for 'Product Quality / Process Innovation' at the inaugural Ontario Craft Brewers Conference.